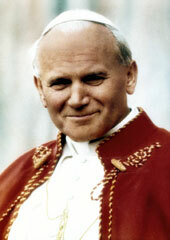 Karol Wojtyla - the late Pope John Paul II - was also a poet and a playwright. The Poetry Salon invites to a special evening presenting his poems, in Polish and English. The first part of the program presents poems and fragment of a play created before Wojtyla became the Pope in 1978; the second part presents his later verses. As usual, music is an integral part of the evening: local Polish pianist Marzena Szlaga will play three nocturnes, a mazurka and a waltz by Fr. Chopin. The Polish Parish in Seattle presents Malgorzata Radomska in a monodrama Zamieszkac z Toba (in Polish) based on the famous autobiography Story of the Soul by St. Therese of Lisieux (Therese Martin, 1873-1897). Ms. Radomska comes to Seattle from Vancouver, BC. The drama adaptation has been prepared by Izabella Drobotowicz-Orkisz. According to the old Polish tradition, Andrzejki (a party on St. Andrew’s eve, Nov 30) was the last party of the year, with some special customs such as divining future from pouring hot wax on water. (Wax pouring is not planned this year). The evening is hosted by Marcin Pietrzak and features live music by the Polonus band from Portland. 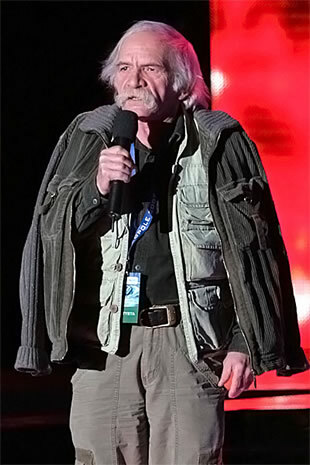 Bohdan Smolen, one of the legends of the Polish cabaret, is coming to the Pacific Northwest with his group that includes Grzegorz Reklinski, Jozef Romek and Marcin Samolczyk. His cabaret show Na kazda okazje is in Polish. The Polish Cabaret Albo tak, albo nie from Vancouver invites to the program Czerwone Wino (in Polish). Please note this is different from the Cabaret Banka that was coming from Canada before, but the evening still should be fun! The restaurant and the bar will be open before and after the event. 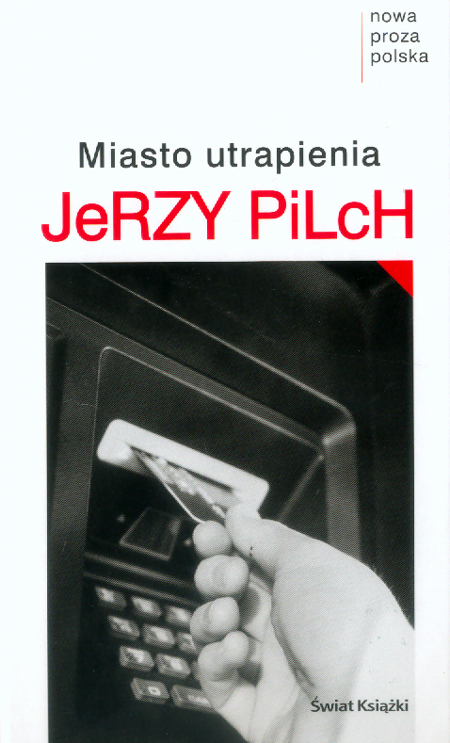 The book for the meeting is Miasto utrapienia by Jerzy Pilch, published by Wyd. 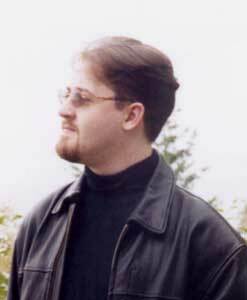 Swiat Ksiazki in 2004. Pilch is a contemporary autor, whose Pod mocnym aniolem won the Nike in 2001 (no English translation yet). Miasto utrapienia is a vintage Pilch, with an ESP plot line serving as scaffolding for his down to earth humor and ironic observations on life in Poland and the human nature. The book is available on the internet. Please see the club website for more details. Polish Home Expansion & Remodeling Fundraising Committee invites everybody interested in the PH expansion project to an open house at the Polish Home. With the fundraising progressing at a nice pace (pledges to date: $230,000), the project is in the review phase before commissioning the final construction plans. . All interested in the details of the project as well as volunteers are welcome! Where: at the Polish Home, admission free, just drop by; refreshments provided! 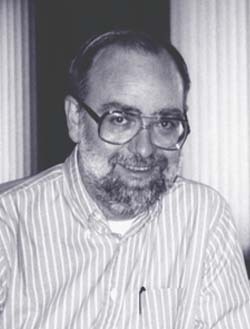 Dr. Richard Ericson is the Chair, Dept of Economics at the East Carolina University, in Greenville, NC. His interest is in transitional economies, especially those of the former Soviet Union countries and its satellites in Eastern Europe. This lecture is part of the Poland’s Transition: Success Story? lecture mini-series, organized by prof. Poznanski of UW. Poland regained its independence on Nov 11, 1918, when Jozef Pilsudski became the Head of State after a popular revolt at the Polish territories led to a formation of the reborn state. This year the community will honor four local WWII veterans: Kazimierz Malinowski, Maria Urbaniak and Roman & Roma Wal. The program includes performances by the Polish Choir, children from the Polish School in Seattle and the Polish Scout Troop. The restaurant will be open from 1 pm till after the concert. 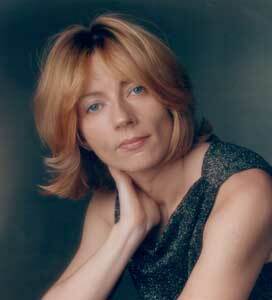 Renowned local pianists, Ivona Kaminska-Bowlby and Christopher Bowlby invite to a new series of piano concerts focusing on Chopin and other Polish composers. The first concert has an all-Chopin program: Sonata in B-minor op.58, Barcarolle op. 60 and four ballads. Dr. Kaminska and Dr. Bowlby have recently opened the Chopin Academy of Music in Issaquah. The Polish Home restaurant will be open before the event. Ilana Kennedy presents a photo exhibition consisting of her pictures from a recent summer trip to Poland that was tracing places of Jewish culture and martyrdom. Ms. Kennedy is the Director of Education at the Washington State Holocaust Education Research Center in Seattle that organized the trip for Washington state teachers in the summer of 2005. The exhibition is open for the month of November, 2005; the opening reception is on Nov 10. University of Washington Polish Studies Endowment Fund Auction Committee invites everybody who would like to help with the next auction in April 2006 or volunteer for other UW PSEC activities to an open house party at the Polish Home. The auction committee members will be available to answer all the questions about the plans for the 2006 auction, the Endowment Fund and the Fund-a-Scholar Fund. The biggest such event around Puget Sound, the Polish fall bazaar features booths with Polish books and CDs, crafts, pottery, crystal, amber and other merchandize as well as booths by local Polish-American organizations. You can also buy Christmas ornaments and wafers (oplatki), Polish pierogi, cakes and sweets as well as have a full course dinner prepared by the Ladies. Polish Choir has a performance at 2 pm on Sunday. Organized by the Ladies Auxiliary. This is just a reminder that the Polish Film Festival that used to happen in Seattle in November has been moved to April. The next festival will start on the last week of April, 2006.